Love at First Site Inspection. Here's How. So it’s with this high level of awe and sticky teeth that I bring to you April’s killer tips for effective hotel site inspections. Hi everyone! 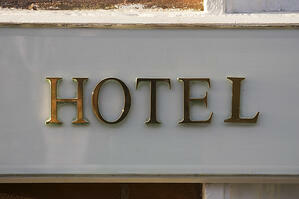 Site inspections are the last check before you make your final decision on a hotel for your meeting. Ultimately, you know your attendees and what’s important to them. Here are five topics that will help you make the most of your site visits and prepare for a great program. Full site inspections can take a couple hours or even the better part of a day, depending on the size of your program. Tell the sales manager to show you the important things first – then you can loop back for "extras" like the pool, spa, etc. if there's time at the end. The hotel will comp your parking; for an easy transition, use valet and ask that your car be waiting for you at the conclusion of the site inspection. The sales manager at each property should handle all the details. Look for people who put extra thought into the experience – calling you by name, asking questions about your group's needs, the little things. Watch that the hotel staff you see during the site are engaged and friendly towards guests. If no one is smiling, that’s a big red flag. This is a big one. Ask how full they are projecting the hotel to be. A full hotel is vibrant and high-energy, but there could be lines at the front desk, restaurants, and valet parking. If it's low-occupancy, you'll have the place to yourself … but restaurants and bars may close early. Also, what is the mix of business and leisure guests over your dates? Will you be surrounded by other professionals, or by families with kids? If there’s a large group in-house, ask the name or at least the industry. You want to know if it’s a bank meeting, rowdy salespeople, or a sci-fi convention. Be sure you’re shown a standard guest room, since that's what most of your guests will have. Hot buttons for most travelers are: bed quality, Internet access, and a nice bathroom. Maybe also a safe – bonus if can fit a laptop. Look at the suites that are available or offered to your group. Sales people love to show the big mack-daddy suites, but if you aren't going to use them, then why waste your valuable time? What groups are in the meeting space adjacent to yours? If your meeting room has air walls (divider walls between sections of ballrooms) you'll want to know exactly what's going on next door during the time of your business meeting – like team building, or anything with music. Most air walls now are pretty good at preventing noise bleed, but it’s still good to ask. How is the meeting space flow from the guestrooms/elevator to your meeting room? How about from the meeting room to meals? Expect a few lost sheep. Take a peek in the closest public restroom to your meeting space. Your attendees will be using them, so nothing tired or (yuck) dirty. Pull out your cellphone a few times to check your connection – in the hotel room, the lobby, bar, and the meeting rooms. Nothing drives attendees crazier than no cell service, as they all have emails and other work coming in while they're at your event. This is a good reminder ask about the Wi-Fi access the hotel offers in these areas and check the speed. While you have your phone out, snap a few pictures along the way. Seeing four hotels in one day is a lot, and they'll start running together by the time you get back to your office. Have questions for me? Ask away below!